A gate is a hinged barrier (structure) which is used as an opening into and out of a compound which is well fenced. Different materials can be used in the manufacture of gates. These materials neither exhibit different characteristics from which you can choose the one that you prefer owing to the fact that in Singapore there is neither winter nor spring seasons. 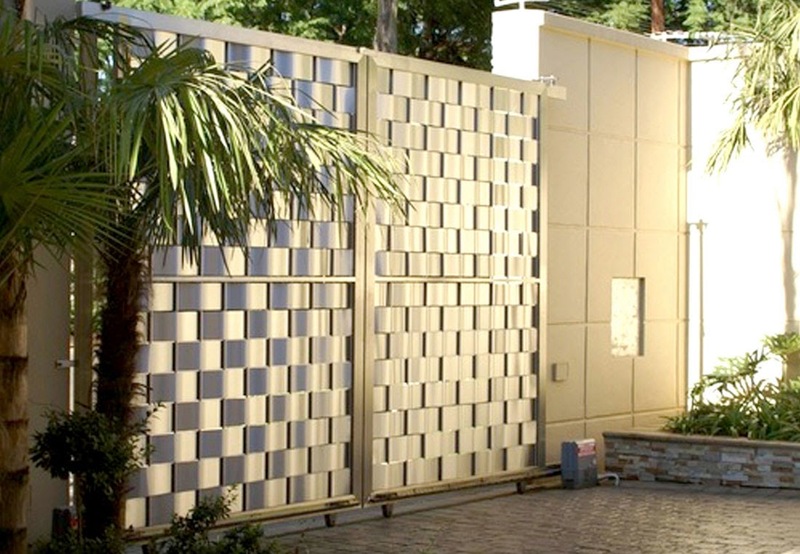 As compared to other galvanized materials which are used in gate construction, stainless steel does not easily get stained with foreign matter. Because of this, stainless gates are able to retain their original color even after every long period of time. This will have far reaching benefits to those who use stainless steel as they do not have to paint their gates now and then as is with other materials used in gate manufacture. Its resistant to staining implies that it has low maintenance costs as compared to gates made from galvanized materials which require regular maintenance especially if used in public places and homes. On the other hand; stainless are easier to clean which may not be true with other materials used in gate manufacture. A galvanized gate is susceptible to stains and any other substances if exposed to such as acids. Galvanized gates require constant attention such as cleaning which may be expensive as compared to stainless gates. Very strong hence able to retain its structural integrity whatever the circumstances that it may be subjected to. For example even if the gate is exposed to an outbreak of fire, the gate will retain its integrity. This is enough security for those interested in long lasting gates or those living in areas prone to fire outbreaks. In some instances, some people may want to use fire in order to access a restricted area. With a stainless gate, their efforts may not yield them much. May be stronger depending on the level of coating and the method of coating used. When exposed to other external conditions such as fire, they may not be able to withstand as stainless steel can. As compared to galvanized gates, stainless steel is relatively cheaper. The fact that it is stronger and cost lower, many people can afford it in an effort to enhance their security and privacy. Many people say that “cheap is expensive” but this not true with gates made from stainless steel. They give you value for your money as you do not have to budget for another gate time and again. It is expensive as compared to stainless gate as a layer of Zinc must be coated throughout its circumference. For a thicker and better coat, you have to dig deeper into your pocket. This makes it unaffordable by many who may be in need of a gate. The method used in galvanizing iron will also determine the cost of the gate and how exposed the gate will be to external conditions. As a material has got that luster which is common and familiar with many people. Because of this property, it can easily be used in many applications including the construction of gates. It is a luster which everyone else can associate with. This makes it popular as opposed to other materials. Galvanized gatesHave nice looking appearances as compared to stainless steel which is too common. With galvanized gate, you are sure of that unique and nice looking structure. Stainless gatesResistant to corrosion which may be as a result of gates facing the sea or dust accumulation. Corrosion is an enemy and if it goes on for some time without being checked, the whole gate is likely to come down. This might be very expensive to home owners or any other place where it is used to control movement. Resistance to corrosion varies depending on thickness of the Zinc coat which is applied on them. This implies that the gates are very much vulnerable to corrosion which in the long run means that the gates may fall down unlike those made from stainless steel. Secondly, such gates may be expensive if you want a thick layer of Zinc in order to avoid unnecessary corrosion.